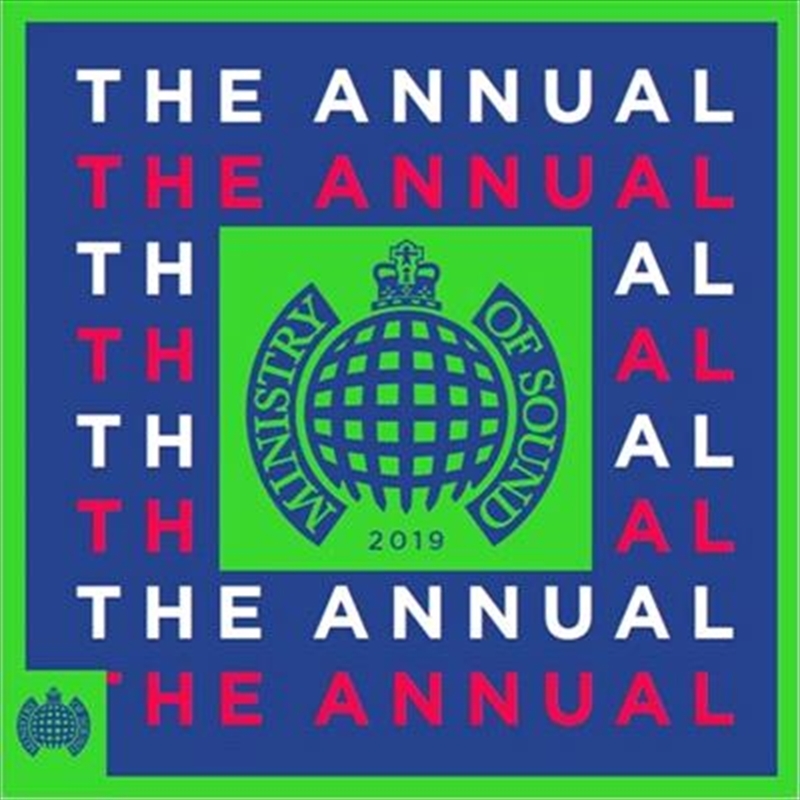 The Annual is Ministry of Sound's flagship brand & the leading Electronic Dance Music compilation in Australia! Celebrating it's 19th year for locally produced Annual releases, The Annual 2019 features the year's biggest anthems and dance floor fillers! 3 upfront tracklists represent high-rotation tracks from artists such as: Calvin Harris with Dua Lipa, Martin Garrix & David Guetta feat. Khalid, MK, Jonas Blue, Kygo & Imagine Dragons, Peking Duk, RÜFÜS DU SOL, The Presets, Disclosure, FISHER, Loud Luxury, Weiss, Alison Wonderland, Clean Bandit, Tiesto & Dzeko, Deadmau5, Au/Ra, Dynoro & Gigi D'Agostino, Basement Jaxx, Riton & Kah-Lo, Dom Dolla, The Chainsmokers + more.